John grew up adventuring in the mountains of Upstate New York and New England and headed west after college for bigger mountain ranges, fewer bugs and greater access to wide, open wilderness. 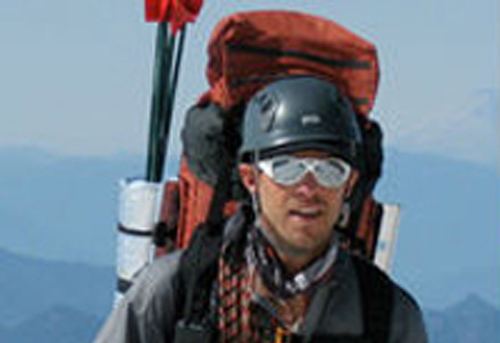 Prolonged stints in the Tetons, Colorado’s Rockies and the Sierra Nevada, spent mostly alpine climbing, skiing and mt biking, inspired him to become an outdoor instructor and mountain guide. He led his first outdoor trip at age 20 and has been leading international & domestic climbs/skills courses the last decade and half.Â He has extensive personal climbing and ski mountaineering experience in the Andes, Alaska, Africa, New England, Cascades, Sierra Nevada and the US/Canadian Rockies. Now residing in the Great Pacific Northwest, JP guides climbs and teaches avalanche safety courses regularly in the Cascades, Alaska and Latin America. When not playing or working in the mountains, he gets fired up for international travel, ska & bluegrass music, trail running/mountain biking with his dog, tinkering with his vintage motorcycle & van, and playing ice hockey. Now residing in the Great Pacific Northwest, JP guides climbs and teaches avalanche safety courses regularly in the Cascades, Alaska and Latin America. When not playing or working in the mountains, he gets fired up for international travel, ska & bluegrass music, trail running/mt biking with his dog, tinkering with his vintage motorcycle & van, and playing ice hockey.